I am wearing the costume. I first wanted to make the facehugger and egg as a way to decorate the candy bowl. The face hugger was going to pop out as they reached in for the candy. 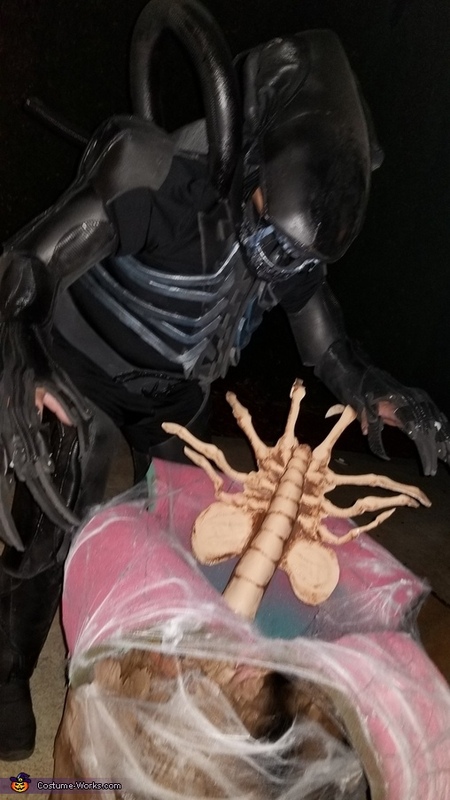 After that was complete I thought I should have a costume that would match so I make the alien suit for myself to wear. All of the items are make from foam mats. Using contact cement and paint.